Welcome to the Commissioners page. My hope is that this page will be a place where all Commissioners can go to get the latest updates from our council, our region and the BSA. There has been a lot of change over the couple of years. The implementation of Sub-Districts, a new Council Executive, changing the date when recharters are due and now the opportunity for girls to be part of the Scouting program. I don’t look at it so much as change, I look at it more of our council, our region and the national organization evolving. Will the evolution slow down? I do not know, my goal is be able to provide the Commissioners as much information as possible so we can help out units, our Sub-Districts and Council be the best it can be. Speaking of evolution – I am looking for Unit Commissioners for our Exploring Posts and our new STEM labs. We are seeing an increase Exploring Posts and we need Commissioners to help these posts continue to grow and thrive. STEM Labs are new and I need one or two Commissioners to learn about STEM units and help define what a Commissioner does for the STEM labs. Please feel free to call or email me with any questions or comments as we move forward with this webpage. Will the webpage evolve? With your input and support it will continue to evolve and become better and better. Thank you for everything you do for scouting. The new Youth Protection Training is now available. I have taken the training and I recommend that you compete the training so you can be well informed as you talk with your units. A well planned program, with a strong outdoor program, delivered by a trained leader, supported by a good commissioner, attracts and retains youth. The mission of the PAC Commissioner staff is provide service to their units by meeting with them, working with them to get answers to their questions. 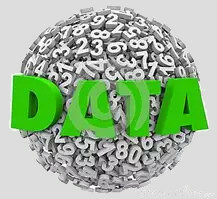 guide them towards JTE Gold Status and to enter data in Commissioner Tools. To have an active Commissioner team that understands and strives to meet the five commissioner goals with each of their assigned units. Supporting timely unit, district, and council charter renewals. The purpose of Unit visits is for the unit commissioner to assist the unit leaders in their all-important goal of delivering the Boy Scouting program to the Scouts. The unit commissioner acts as a counselor, adviser, mentor, service representative, doctor, etc., when unit leaders need any type of assistance. Without regular visits and contacts, unit leaders would have no direct contact with the Scouting structure other than council roundtables and the district executive. They would be on their own to implement the Scouting program without the training, skills, knowledge, assistance, and support that a commissioner can provide. This would make their role much more difficult, and their chance of success would be much lower. 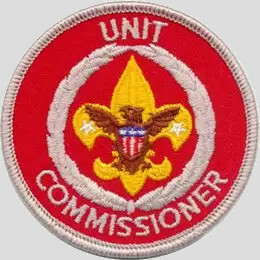 The unit commissioner is there to help units succeed in delivering the Scouting program. Latest data is for March 2018. If you are interested in facilitating a breakout session at Roundtable, you could become an Assistant Roundtable Commissioner. Materials are prepared for each Roundtable – you show up, look at the materials and use your facilitation skills. If interested, please contact Liz Danner. Below is the link to the Commissioner Newsletter. A plethora of Commissioner information.